How about something Lemony with a soft decadent Pomegranate Twist when you feel like showering this time? 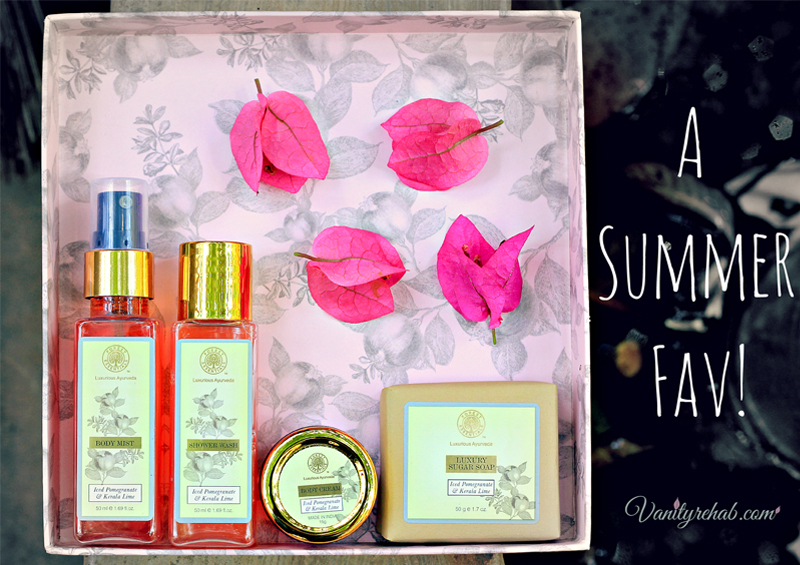 Then you got to go and get this 'yum'ly refreshing Shower wash from Forest essentials ASAP! 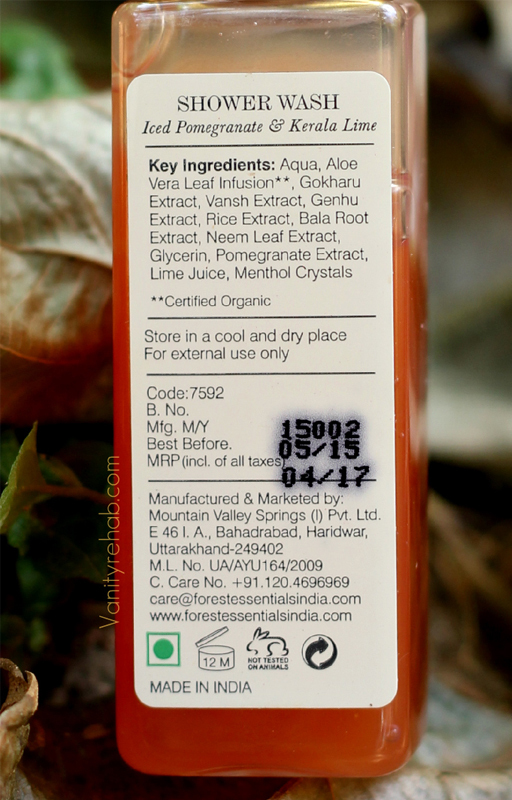 I really loved this Iced Pomegranate and Kerala Lime Shower wash from Forest essentials right on the first day when i tried it. It bursts in to a foam of unique refreshing Scent which Energizes and at the same time Calms you down too. The Lather is light and airy and is pretty easy to wash off too. The skin feels nowhere near dry and stretchy. Instead it feels smooth, Comfortably clean and moisturized. The shower wash liquid is not red in colour anymore. They changed it to translucent white now. 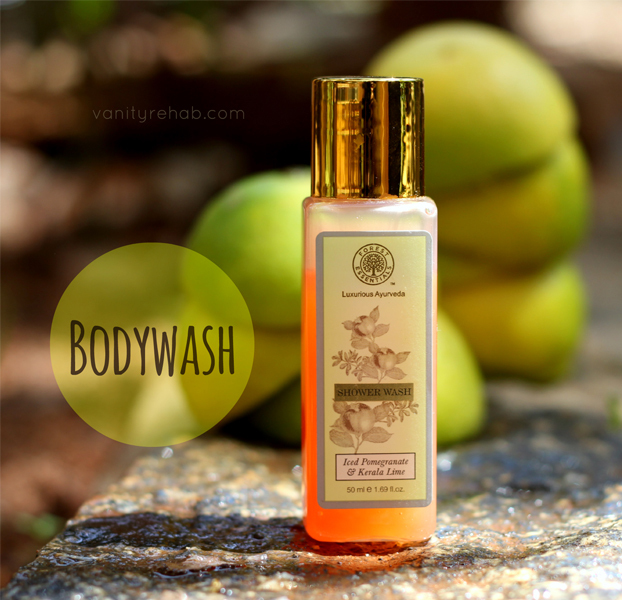 Review of: Forest essentials Iced Pomegranate and Kerala Lime Body mist. 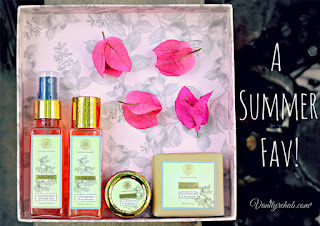 Will review the Rest of the box contents i.e., Sugar soap and Body cream soon. Don't forget to Read my Latest post: "#Life with MS - A Twilight Saga...: A Twilight Saga that Me and Every single Multiple sclerosis warrior goes through." It is..Aishwarya :) I don't usually like the strong and pungent smell of the usual Ayurvedic and herbal products but, forest essentials's products thankfully smell pleasant and do not irritate my sensitive nose. I am glad you are loving it jayanthi! :) Please do..But, just remember that this does not feel icy and cool like the body mist does.